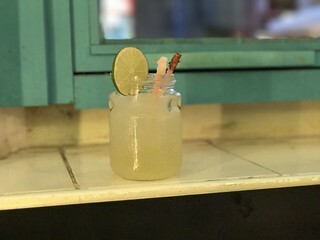 In the very first post in this blog, I justified its creation by stating that I had some things to talk about, or “In other words, no vacation slides” as I said at the time. 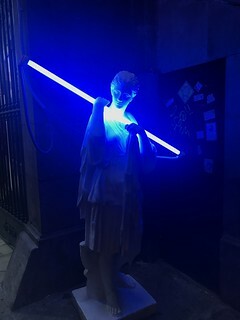 Realistically I wanted to start a blog to talk about my fascination with a local immersive art installation known as The Jejune Institute rather than an aversion to vacation photos. Look no further back than my 2012 visit to Copenhagen to see an example of a violation of the principles outlined in that first blog post. Yeah, I lied… though somehow I never got around to writing about my 2013 trip to Shanghai on this blog for whatever that’s worth. So forget the no vacation photos thing and let’s move on. 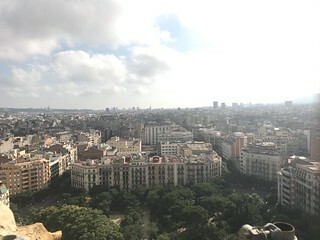 As I wrote in my first post about my vacation to Europe this summer, I started and ended the trip in Barcelona because I booked cheap flights. This meant I stayed at two different hotels a few days in June and again a few days in July. 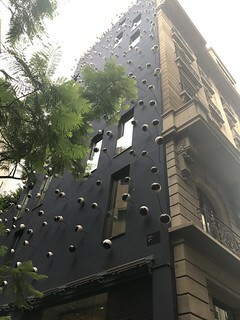 My trip’s first hotel was Hotel Via Augusta in the L’Eixample District, near the Gracia neighborhood. 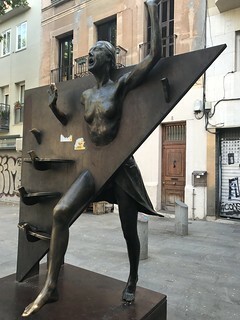 L’Eixample means “expansion,” and it’s literally an expansion of the original part of Barcelona. The original city is now known as the Gothic Quarter and was once surrounded by a wall. After the city wall was demolished the city built outward, mostly in large, dense blocks that had tapered edges to accommodate streetcars. That last factoid plays a pivotal moment in Barcelona’s history, so read on. 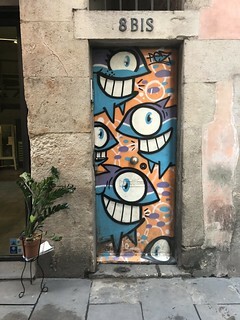 Gracia is an older neighborhood that wasn’t originally part of Barcelona. Even though most of the buildings look new, the streets are very narrow with a layout that’s slightly more contemporary (less chaotic) than the Gothic Quarter. 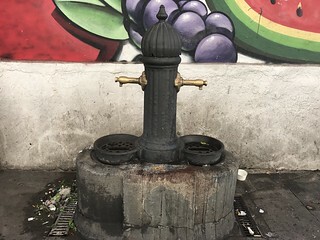 It’s a lively, family friendly neighborhood that doesn’t attract as many tourists as other parts of town. 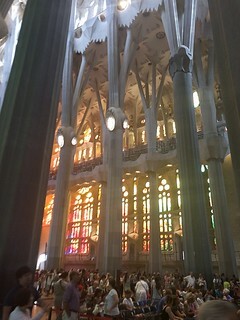 That said, it’s walkable from a number of Metro stops and not far from Sagrada Familia. Gracia grew on me quickly with one exception — it’s completely dead on Sundays. Depending on your schedule this can add a significant challenge when you need food. For my part on Sunday I found a “takeaway” lunch at a sushi restaurant (they have Philly rolls in Spain!) 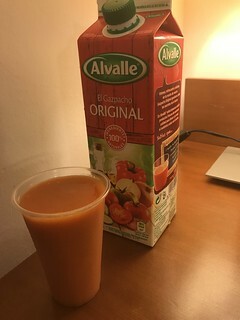 and a gazpacho dinner from a convenience store. 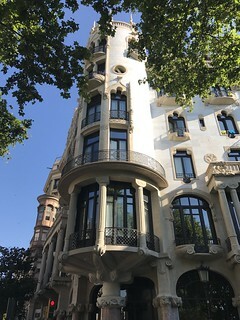 Further out in the L’Eixample District, the architecture takes on a life of its own. 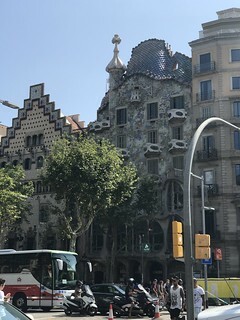 Local architect Antoni Gaudí and his contemporaries built — or in many cases renovated — buildings with their own modernist styles. Not all of them survived Spain’s civil war intact. 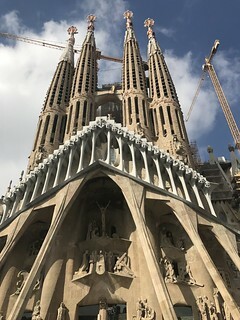 The most astonishing architecture near my first stop is also the most famous: Gaudi’s Sagrada Familia, an enormous church that’s been under construction since 1882. 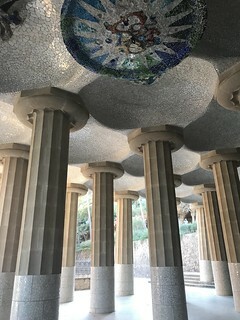 Gaudi knew he wouldn’t live to see the end of the construction, and as fate would have it he was killed by a collision with a streetcar in 1926. 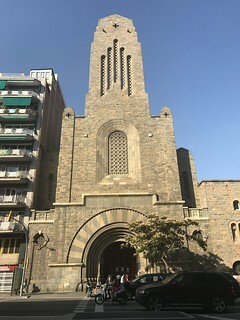 His original plans for the structure were also destroyed in Spain’s civil war. 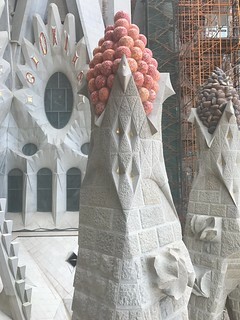 With the interior largely complete, the exterior still has one facade and several more towers to go. Will it be complete by the deadline of 2026? 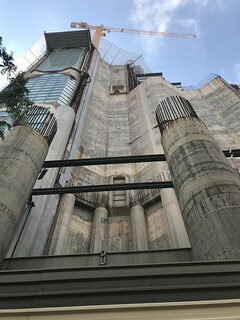 I doubt it, even though they’ve switched from stone to modern reinforced concrete for the main facade — which has barely begun construction. Still this is an amazing building to visit and its unfinished, changing nature is a part of its allure. For better or worse, I booked tickets for the tower on the Passion facade. The ticket included an elevator ride up, but (unbeknownst to me) not back down. The views from there were spectacular, but the path down involves narrow stone staircases. 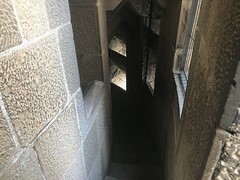 The last part of the climb down has a handrail on one side, and a steep drop on the other. This is an alarming descent, especially when the temperature is 95 degrees and your hands are a little too sweaty to firmly grip the handrail. Fast forward to the end of my trip, and I stayed in at Hotel Cortes in the Gothic Quarter, the old and original part of Barcelona. Like many folks in Barcelona, the guy running the front desk when I arrived barely spoke any English. Fortunately others in the hotel spoke English fluently, and my limited (Castilian) Spanish was enough to get by. 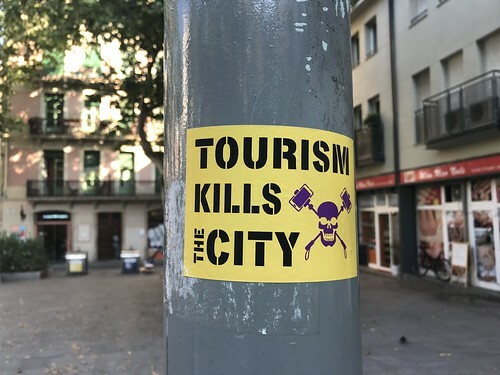 Everyone will tell you the Gothic Quarter is the most touristy part of Barcelona, but it’s also historically significant, and even today is quite lively. That said, if you want to check out the architecture, wake up early on a Sunday when everything’s closed and stroll the narrow streets for a few hours. 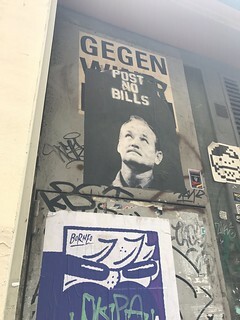 It’s a gorgeous part of town when it’s empty, and the clash of styles between the old buildings and the modern street art really shines. Even during the day, the restaurants, bars, and cafes a little ways off the beaten path are worth checking out. 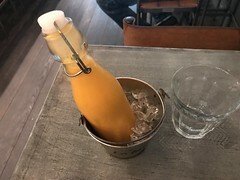 In particular I found a bar with excellent gazpacho, a taqueria (yes, really) with killer margaritas, and vegan British pub with not only good beer, but surprisingly good food. 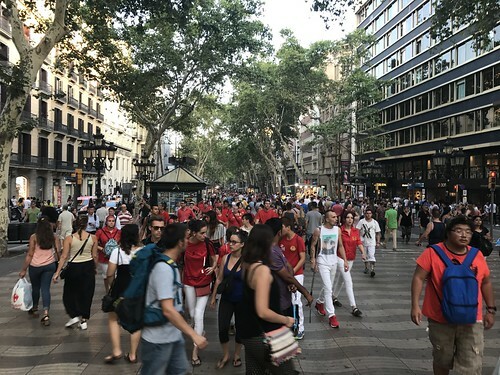 Though the Gothic Quarter can be touristy, one part in particular stands out as a serious tourist trap: La Rambla, a wide street going down the middle of the neighborhood towards the sea. 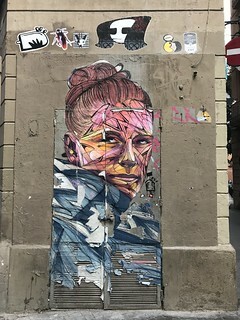 Despite a few useful shops, for the most part the place is crowded with tourists and poorly rated restaurants, including (of course) Barcelona’s Hard Rock Cafe. As a general tip for traveling, remember this helpful rhyme: “Hard Rock Cafe, Stay Far Away.” I’ll get into that more when I discus my trip to Florence. 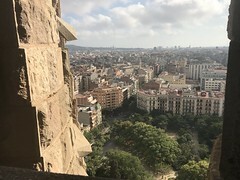 From the Gothic Quarter I wandered up to Montjuic, a scenic viewpoint on a tall hill. An aerial tramway connects the hill with a (man made) beach. It’s fun to find your way up the hill, especially because not all the pathways are marked. 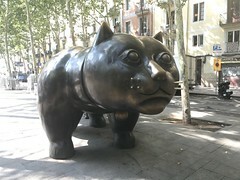 On the way there I happened to walk past “El Gato de Botero,” a large metal sculpture of an overweight house cat. Silly, but worth checking out. The top of Montjuic sports a hotel, a couple restaurants, and an immaculate garden. 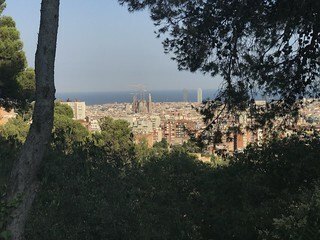 Although it’s not included in the panorama below, from several vantage points on top of Montjuic you can easily spot Sagrada Familia. The numerous cranes are a dead giveaway. On the opposite side of the city from Montjuic (yeah, I got around) there’s another high vantage point: Park Guell. Built into the side of a hill, Park Guell is filled with lush gardens, meandering pathways, playgrounds, and a number of homes designed by Gaudi. 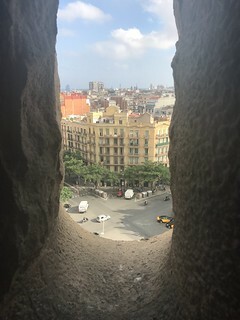 Commissioned by a man named Guell, the place was intended as a small village for a handful of rich families with sweeping views of the city. 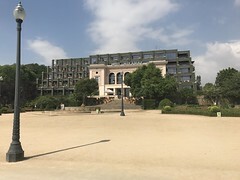 Ultimately it was a failure, and the place was eventually handed over to the city to be used as a park. 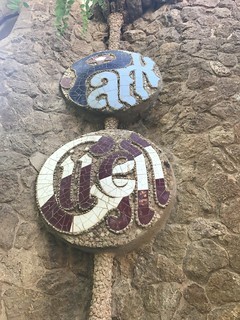 The most built out and decorated part of this development is near the bottom, with a number of buildings, man made cave-like structures, fountains, and mosaics. This part currently costs extra to enter most of the time, although it’s arguably no more or less interesting than the rest of the park. 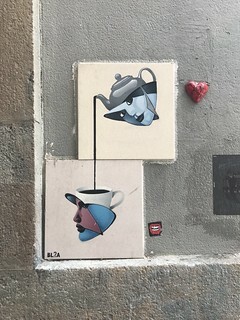 The street art scene in Barcelona is pretty wild, especially in the Gothic Quarter. 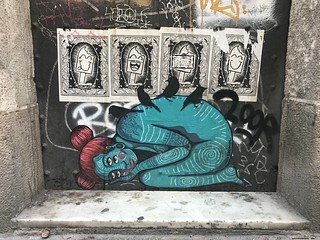 I took dozens of photos — too many for an already long blog post — but here are a few works I found interesting and representative. 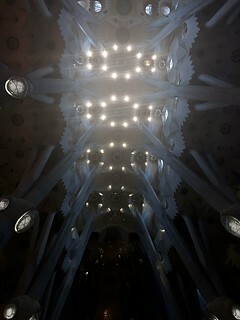 Sagrada Familia top views. 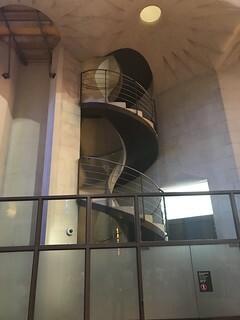 For 29 euros you get to go up one of two towers and get an audio guide. You have to book this one at least a day or two in advance. Third party operators also provide tours, but I suspect you’re better off sticking with the official tour. 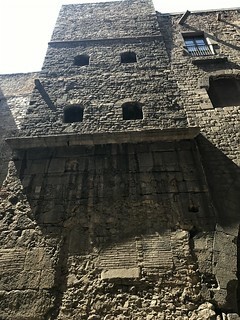 Free walking tour of the Gothic Quarter. This is a very well put together tour available in three languages (each with a different guide.) Even though it’s free, they do encourage tips at the end of the tour so it’s more of a pay what you want kind of thing. You don’t have to book in advance, but if there’s no space available you may not get in if you show up at the last minute. Craft Tours: Barcelona Beer Tour. Who knew Barcelona has a beer scene? This is the same company as the free tour, but it costs money upfront — and includes tapas and a lot of beer. This one has to be booked in advance. 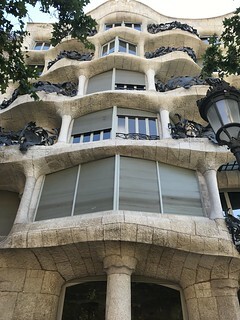 Craft Tours: Discover Gaudi & Modernisme. 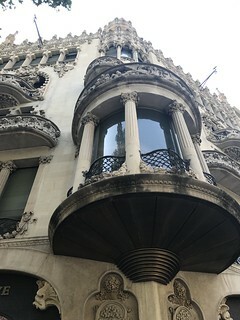 Another tour from Craft Tours that also requires booking online, this one goes into detail about the modernist architecture in Barcelona in the L’Eixample District, mostly around the time of Gaudi and his contemporaries. 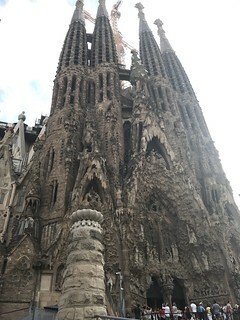 The tour ends after a brief Metro ride at Sagrada Familia. 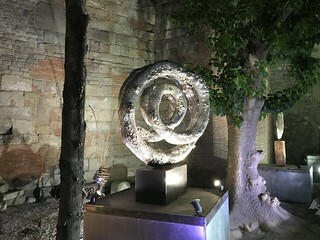 Park Guell Monumental Zone. 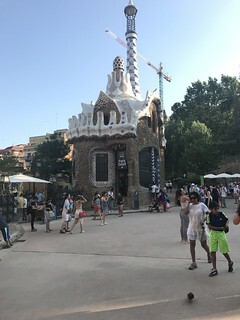 While Park Guell itself is completely free, the core “Monumental Zone” costs seven euros to enter, and you generally have to book in advance — though if you arrive very early in the morning it’s free. It did seem a bit overpriced, though maybe the guided tour option would be more interesting. 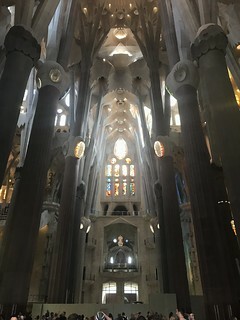 For more photos, see my Flickr albums for part one and part two of my Barcelona trip.